It’s one of our favorite days of the year! Rehearsals begin today, May 31, for the four summer shows of our 28th season! GreenStage will stage full-length productions of The Merry Wives of Windsor, directed by Daniel Wood, and Cymbeline, directed by Vince Brady. In addition, we will produce two Backyard Bard shows, Pericles and Twelfth Night, both directed by GreenStage managing director Ken Holmes. The season runs from July 8–August 13, 2016. In all, GreenStage will put on 60 performances in 21 different parks in the Greater Seattle area. 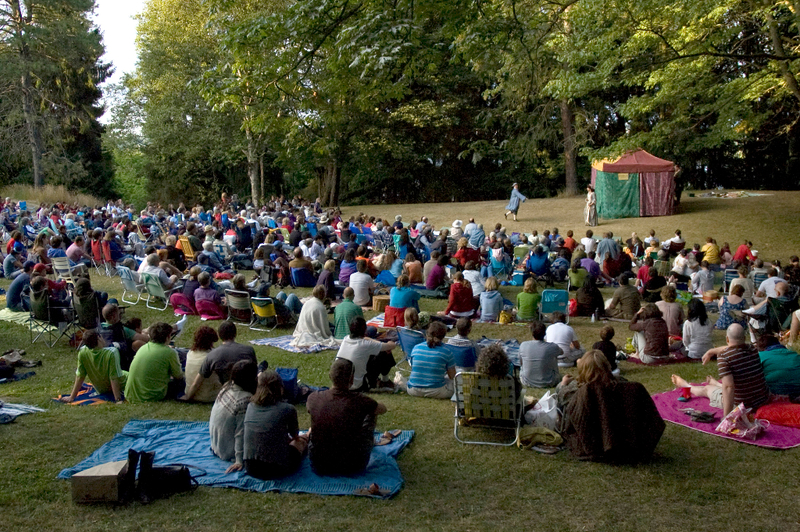 Included in the list are several parks in which GreenStage has never before performed: Delridge Playfield, Othello Park, and Powell Barnett Park. In addition, we’ll return to Dr. Blanche Lavizzo Park after a couple of years away. Our goal is to bring free Shakespeare to neighborhoods that have limited performing arts opportunities and to bring the joy of theater to new audiences. The casts and crews and performance schedules can all be found at the show links above. We look forward to seeing you in the parks this summer. Go see a play!